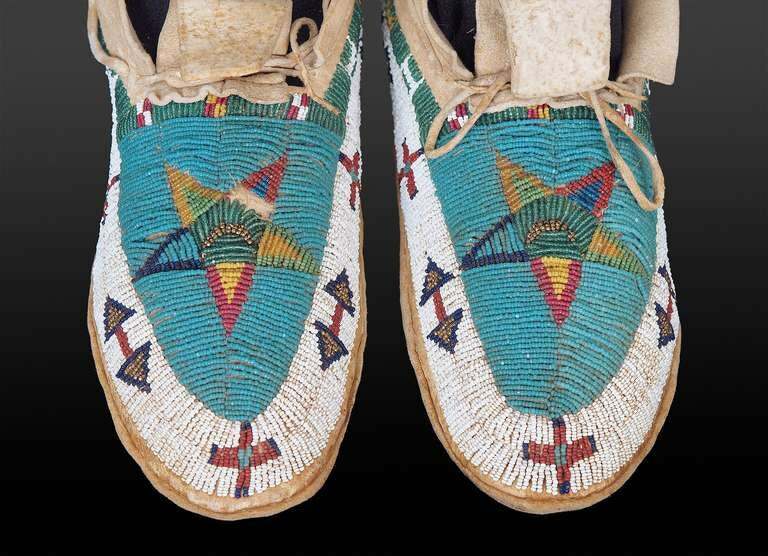 Constructed of native tanned hide, these moccasins were intricately beaded in a pictorial design consisting of star, cross and arrow motifs in glass trade beads. 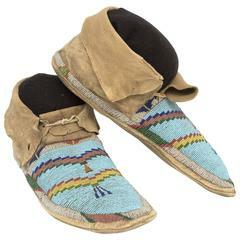 The Cheyenne migrated with the buffalo herds and their territory encompassed much of the Great Plains of the United States including present day Minnesota, Montana, Oklahoma, and parts of Colorado, Wyoming, and South Dakota. As with all our offerings, authenticity is guaranteed. Expedited and International Shipping is Available; please contact us for an estimate. 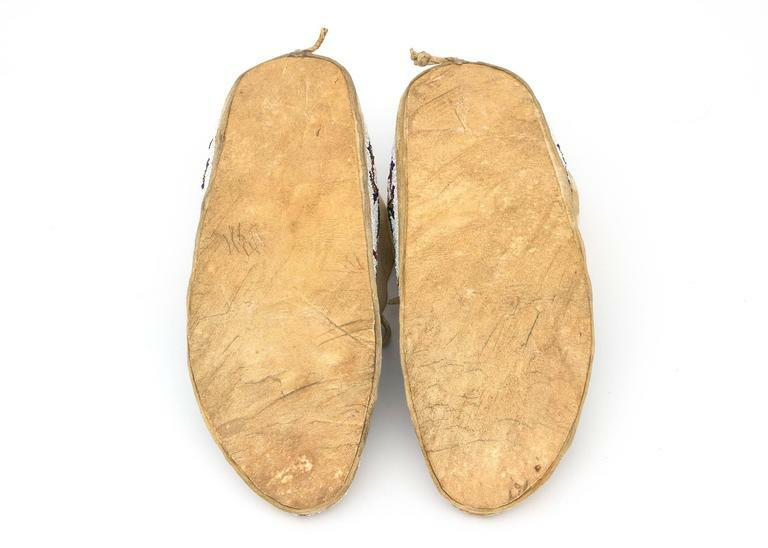 Smoke tanned moose hide. 10" long. Beaded toes and cuffs. 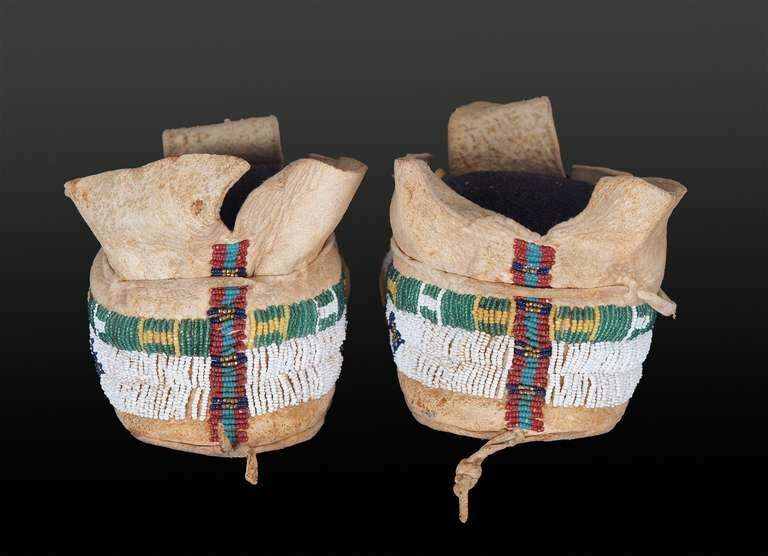 Period: circa 1940 Origin: Cree Size: 10" long. 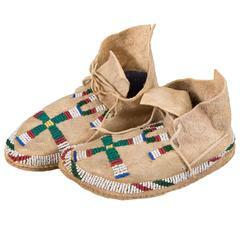 Fully beaded toes and cuffs, smoke tanned moose hide, reinforced soles, circa 1940s. Trunk piece, never worn. Period: circa 1940. 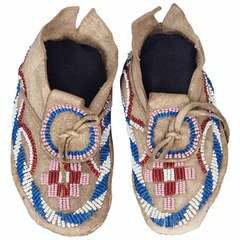 Origin: Cree Size: 10". 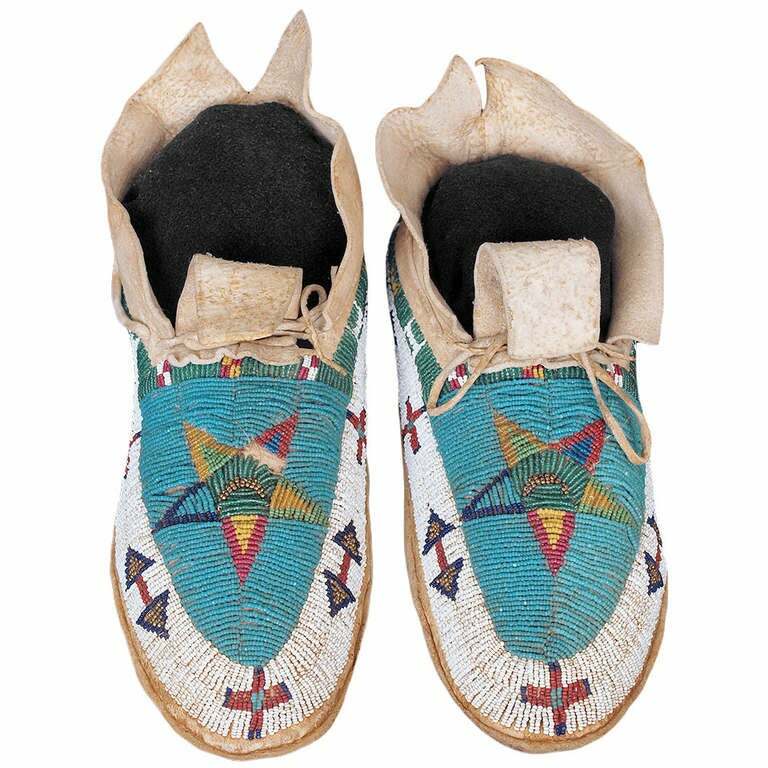 Authentic, antique beaded pair of Native American Sioux moccasins. 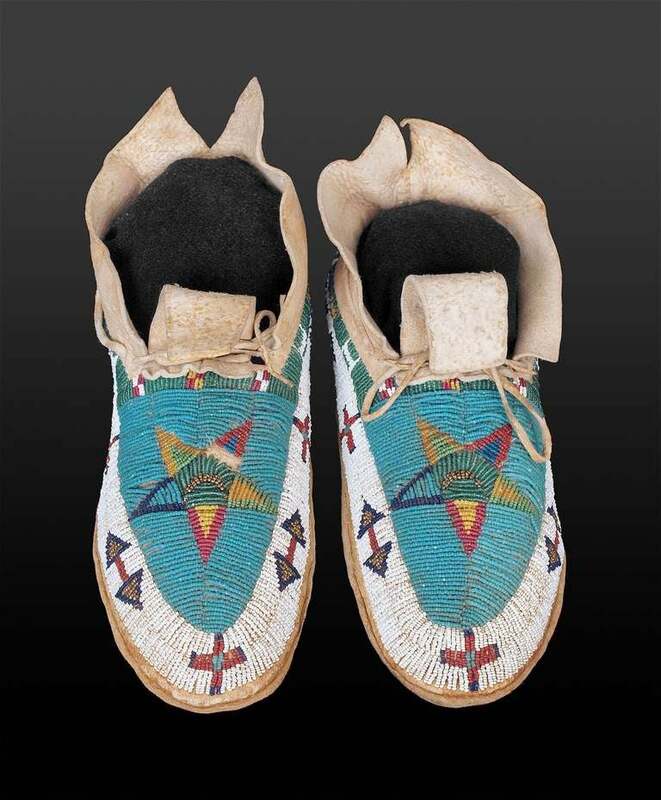 Wear to leather and loss of beads from use. Late 19th-early 20th century.